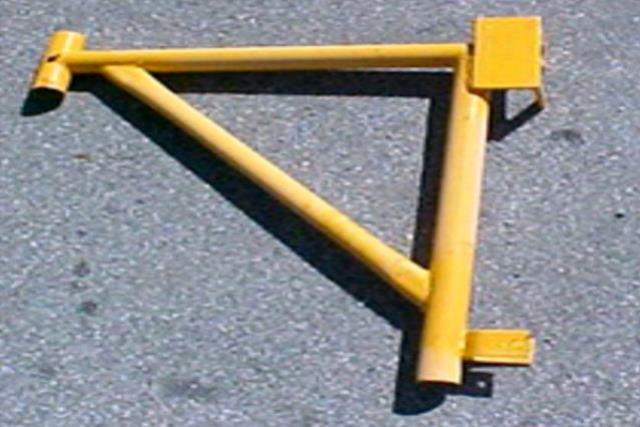 This is a side bracket saddle tube type side bracket. 20 in length. Weight is 8.3 lbs. This is 1.5 lbs heavier and it's just a larger beefier stronger bracket than competitive brackets. We use 1.625 in outer diameter high strength tubing on the top and side. The diagonal support bar is 1.25 in OD. Competitive brackets as pictured are only 1 inch. Our tube thickness is 2.5 mm and theirs is 2mm. * Please call us for any questions on our scaffolding corner brace in Concord, serving all of New Hampshire, including Manchester, Canterbury, Loudon, Hillsboro, and Northwood.